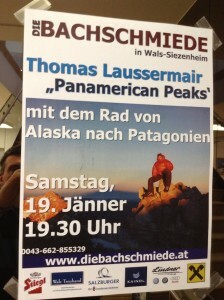 Last weekend I gave a public presentation in Salzburg, Austria about the Panamerican Peaks project. 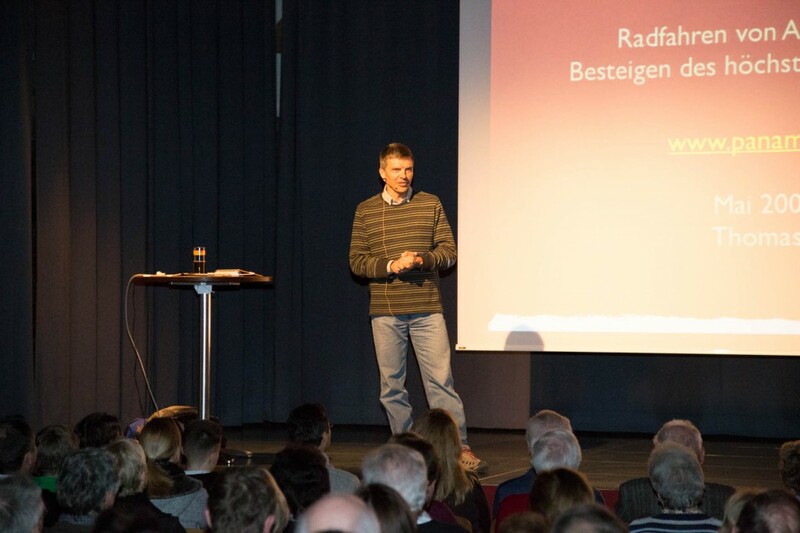 It was my first overseas presentation in German language. The event was well advertised. 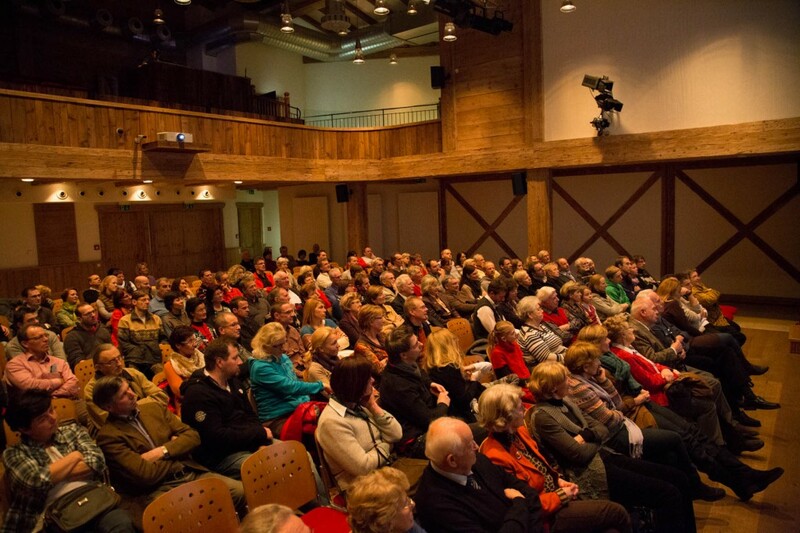 The venue was a large theater called “Die Bachschmiede”, which featured my presentation on their online event calendar. Two newspaper articles had been published a week and a day prior to the event, based on a phone interview with the editors and my free sample book. The talk had been included in the catalogue for this venue several weeks in advance. There were even some posters printed and distributed. I had notified family and friends – those who could make it got to sit in the front row. The event was well prepared. Over a period of about 6 weeks in December and January I had translated my book and published the German version in the Apple bookstore. In addition, I translated my keynote presentation, some of the voice-over of my videos and added some Salzburg specific anecdotes to my presentation materials. I also visited the venue the day before the event to test the iPad connection and familiarize myself with the stage and the general facility layout. Again, presenting from the iPad with the iPod Touch as a remote control worked very well and it’s very convenient for travel. Last but not least, the event was also well attended. 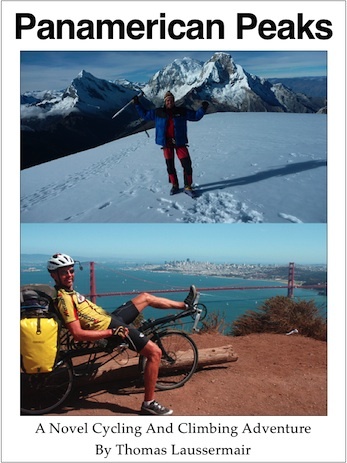 About 125 people in the audience listened to two segments on cycling and climbing, with an intermission and lots of Q&A in both segments. I enjoyed the fact that there were lots of questions from the audience and almost all stayed to the end for a good 2.5 hours. At some level I am surprised that it is still a lot easier to get people to pay for an event than to pay for the book on the iPad. Wouldn’t you rather get the book with all the details?